Featuring the renowned flavor of Ghirardelli's quality dutched cocoa, these premium hot cocoa packets are sure to please all of your chocolate lovers! The indulgent taste is perfect for a steaming cup of cocoa, or it can be combined with coffee for a decadent mocha. To make individual servings, simply add 1.5 oz. of cocoa mix to 8 fl. oz. of hot water and stir until dissolved. Well-suited for offices, break rooms, and hotels, it's easy for employees, guests, and staff to make a creamy cup of cocoa in an instant. Hot cocoa is a satisfying drink to grab on-the-go, as well as to enjoy with sweet desserts or breakfast pastries. Customers will recognize and trust the Ghirardelli name when they see it in your cafe, coffee shop, or resort. Ghirardelli began with a young Italian chocolatier in the early 1800s and is now a brand widely known for its rich flavors. This sense of quality is the result of Ghirardelli's commitment to control all steps of the chocolate-making process, from roasting the cocoa beans, to refining the product for smoothness and well-balanced flavor. In addition, the company understands that sustainable sourcing and knowing the origins of the cocoa beans speaks to the quality of the finished product. Your guests are in for a treat with this hot cocoa mix! The rich, full flavor of Ghirardelli chocolate makes this a deliciously sweet hot drink. 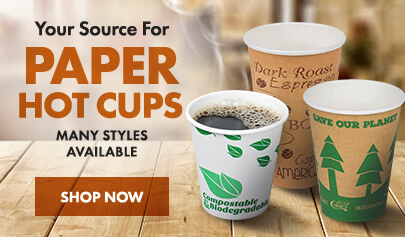 The portion-sized packets mix easily in the cup for the perfect cup of hot cocoa every time. I've tried this one and the blue bag Ghirardelli cocoa mix. They are both just so good I can't decide! I'm just going to have to keep buying both and switching it up. These were a real treat! If you prefer a really chocolaty rich hot cocoa, this is the one for you! I'm looking forward to our first cold snap of the season to finally have a good excuse to order more and indulge. This cocoa mix receives very high compliments from our customers. When properly prepared, it mixes well and creates a rich-bodied hot chocolate. Our store mixes this with salt and sugar for an ideal solution. 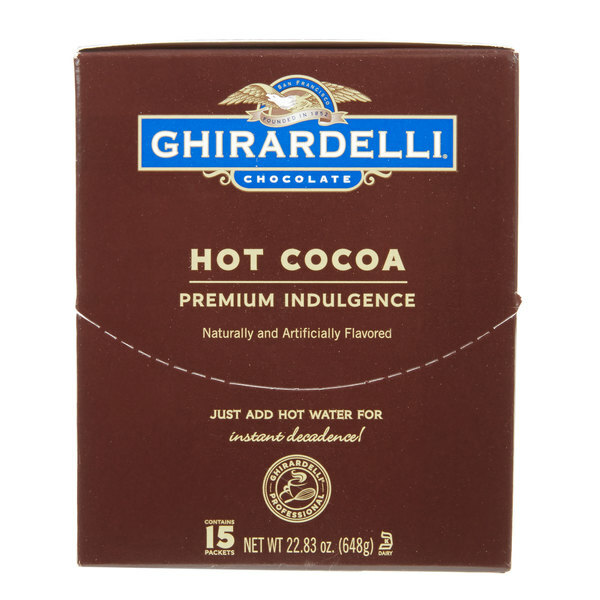 This Ghirardelli premium hot cocoa mix has a superior flavor compared to cheaper brands. This is by far my favorite beverage for those cold winter days. 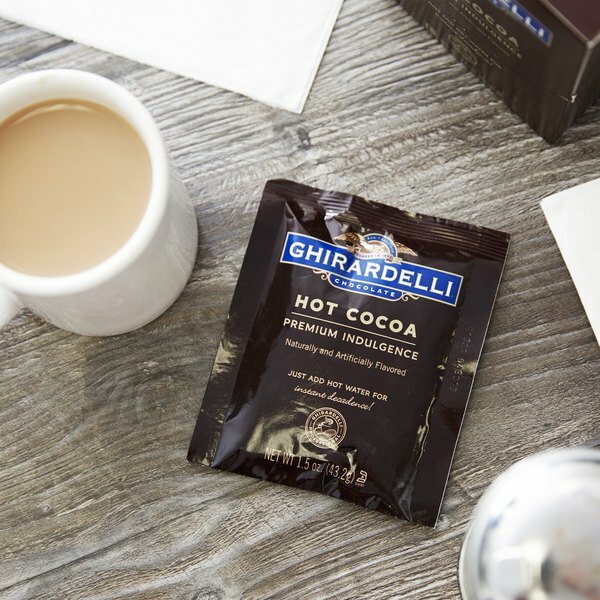 The Ghirardelli premium hot cocoa mix packets are a quick and easy way to make a cup of cocoa. They are perfect for our guests rooms at our bed and breakfast. They love it and we get great reviews. Premium cocoa mix is wonderful. Tastes great and is super easy to make. Simply add hot water or milk and you're ready for a tasty treat. Delicious Ghiradelli hot cocoa at a great price. 15 packets of premium cocoa mix that can be made with either hot water or milk. Great for any occasion! 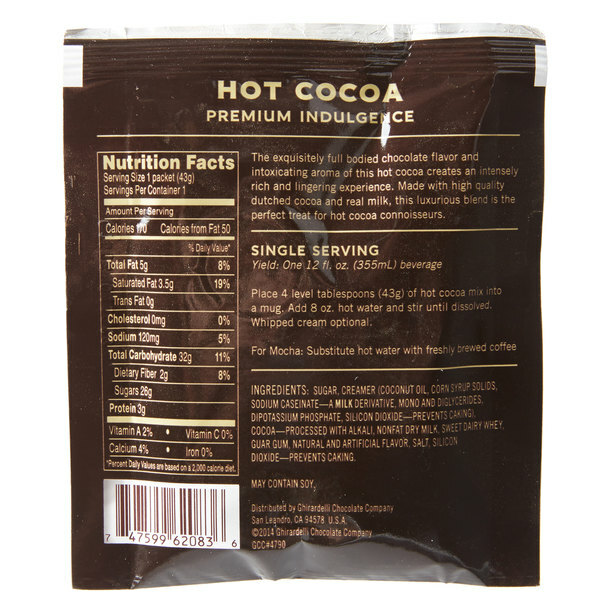 This 15 pack of premium indulgence hot cocoa is a great value. Tastes great and easy to make. Simply add a packet to a mug or coffee cup and add hot water or milk. Very tasty. This might be the best hot cocoa mix I’ve ever had! It is more expensive than a traditional mix like ‘Swiss Miss’ but it is worth every penny. I will definitely purchase again! Love the Ghiradelli brand and especially their chocolates. Unfortunately it's hard to accept this as a "premium" hot chocolate since it's made with artificial flavor, mono and diglycerides. I have tried these packets with hot water and also with hot soy & almond milk but I did not think the taste was any more "richer" than the Swiss Miss or Nestle. On a positive note, it would make great stocking stuffers. The price was also worth it since it's less available in stores. Great addition to our menu. Great flavor and our customers love it. Fall or summer this Coco works for us. Very happy with purchase. Weill buy again. I use these in my Airbnb and the guests enjoy it. This is the best hot cocoa by far. It tastes like a chocolate bar. So good! A really nice hot chocolate mix packet that is perfect for small gift baskets or stuffed inside a coffee mug with some marshmallows for a great little gift. The price is a little higher than some, but the quality is well worth it. 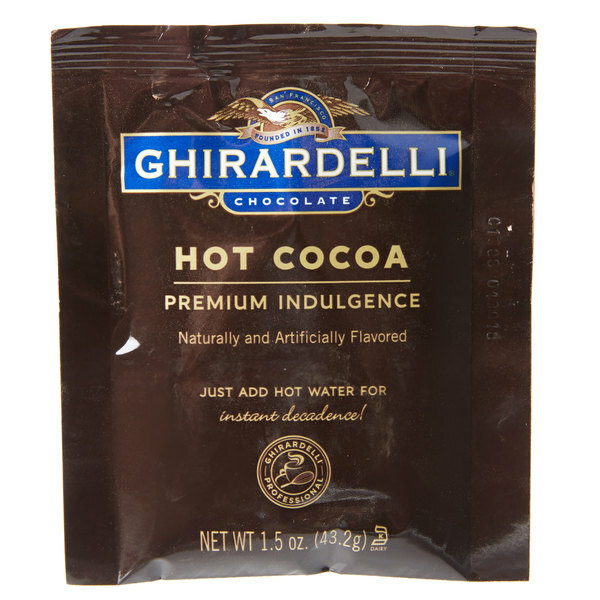 These Ghirardelli Premium Hot Cocoa Mix Packets are possible the best and most delicious on the market. They come individually so they are easy for single orders. This has rich chocolate flavor and is what you would expect from a premium brand. The Ghirardelli name alone will help sell this product and the great taste will keep customers coming back for more. Great for home use too! Simple to use since it's packaged in individual packets so it's simple to take with you on the go or whenever you need some hot chocolate. Whenever I see the name Ghirardelli I know that I will be getting a quality, superior tasting chocolate. This double chocolate hot cocoa is amazing! Powdered cocoa mixes can sometimes taste too watery or bland, but the premium quality of this brand shines through in taste, aroma, and hot cocoa warmth. With it being winter time, our family goes through a lot of hot chocolate. I personally am not a fan of most brands of hot chocolate, so I was super excited when I stumbled across the ghirardelli brand. This is the most delicious hot chocolate, I highly recommend it.